Create a centralized, “one stop shop” for employees of universities, colleges or other educational institutions, that have or will soon participate in the Palo Alto Networks Cybersecurity Academy program. Foster dialogue, answer questions and encourage best practices sharing between participants. Inform members proactively of developments in the Cybersecurity Academy program. Support ongoing community member education via webcasts, group discussions, and other resources. Provide feedback to Palo Alto Networks Cybersecurity Academy team members about questions, issues, and potential future enhancements. For a full list of all upcoming events, please view the Cybersecurity Academy calendar at the bottom of this page. 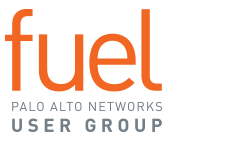 Welcome to the Palo Alto Networks Cybersecurity Academy Community!